Online, simple, secure. Xero is the accounting system you always wanted. All we can say is 'it's about time' an accounting software company approached the whole accounting system from an everyday user perspective as opposed to an accountants. Xero also has some pretty powerful benefits and being able to access your financials anywhere, anytime and in real time is just one of them. In short, we reckon Xero is a cracker and love it so much we are dedicating an entire webpage spruiking it to the world. We know what we are doing so you can put your feet up and rest easy. Understand not everything has to be hard when it comes to numbers. Simple apps like VEND, SHOPIFY and UNLEASHED make it incredibly easy to get going, just by logging in. So what can Xero do for you? Accessible 24/7, anywhere, anytime. You can monitor your business easily while you are shopping in Singapore, sailing on the bay or simply away from your office. Xero's bank feed function is a real winner. You get back all of the time you now spend tediously entering and matching transactions from your bank statement line by line. What's more, your cash at bank is always up to date which is great for cash flow decisions. Your data has never been safer. Peace of mind state-of-the-art security. Mac, Ipad and Windows too if you swing that way. Being cloud based, Xero doesn't discriminate. 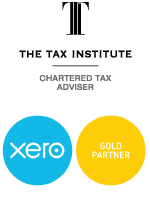 Free on-line support from Xero. In addition, FREE premium phone/email support if you are a client of ours. Integrate with your bricks & mortar store, on-line checkout, CRM and inventory management software. Just an incredibly powerful business tool. Prepare an invoice for your customers and e-mail it to them from your phone or ipad. You can even provide a paypal link on your invoice if you like - your customers now have no excuses for not paying your bill on time. Your employees can enter timesheets and lodge expenses for approval. Xero helps to make managing your employees and much of the paperwork that goes with that, far simpler. Multiple users can access the program at the same time without purchasing additional licences. Unlike some other accounting software, Xero has a one price for all policy no matter how many users you set up.